Though Zyg has made no such claims himself (to Fishpool’s knowledge), it is an interesting statement. In terms of Game fish caught, Zyg is without equal, and his achievements warrant serious lauding. But how would he fare in the World Match Fishing Championship – where patience and endurance are less important than precision and finesse? And how might that place multi world title winning anglers such as Alan Scotthorne and Bob Nudd? 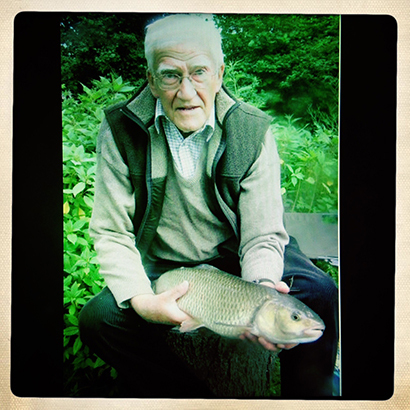 Then there are anglers such as Dennis Flack – simultaneous holder of 4 British freshwater records. Or specimen hunters like Terry Lampard or Terry Hearn. Of course, the whole notion is entirely subjective, and each angler mentioned deserves the plaudits they receive. For Fishpool, however, the greatest anglers are those who get the most from their day. If someone returns home having not had a bite but with greater satisfaction than he who caught plenty – is that not ‘great angling’?